International tiger conservationist Takako Hashimoto-Sato, a former USFWS employee, traveled from her home in Japan to attend the 50th anniversary of Merritt Island National Wildlife Refuge and invited me along as her guest. In 1963, the year after NASA acquired the land that would become Kennedy Space Center, the U.S. Fish and Wildlife Service was allowed to come in and manage all the natural areas as a refuge, which the USFWS continues to do to this day. To mark the 50th anniversary the Refuge hosted a series of events for current and former USFWS employees. The event I participated in was the refuge tour on Saturday, 2 November 2013, that was rained out about halfway through the trip causing its cancellation. Here is a short video of highlights from the tour. The high point for me was when we were able to descend to the pristine beach at Camera Pad A/B inside the KSC security area. 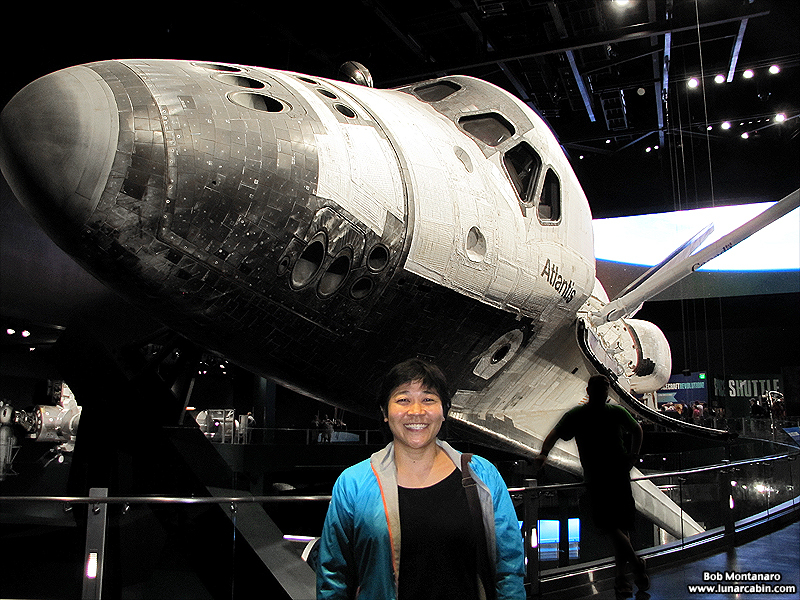 After the tour Takako and I visited the Space Shuttle Atlantis exhibit at the Kennedy Space Center Visitor Complex. 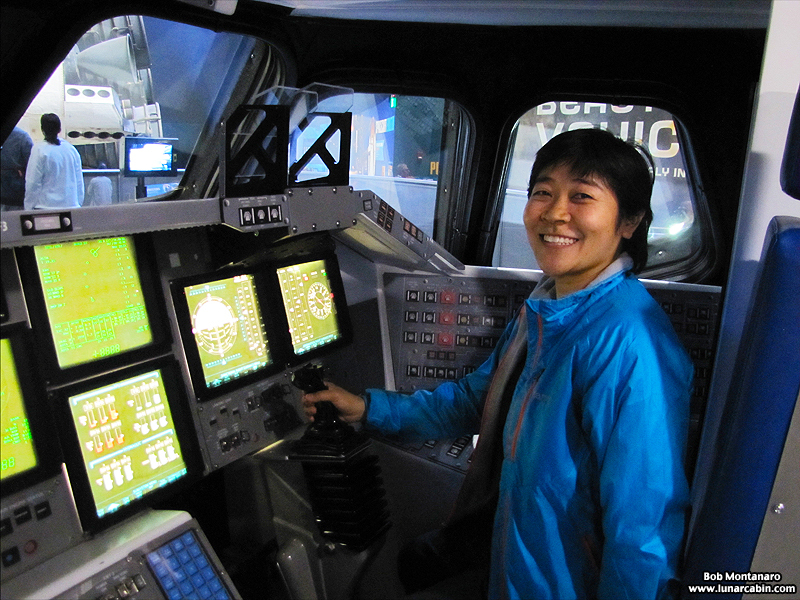 Takako in the pilot’s seat of the Space Shuttle cockpit mockup. 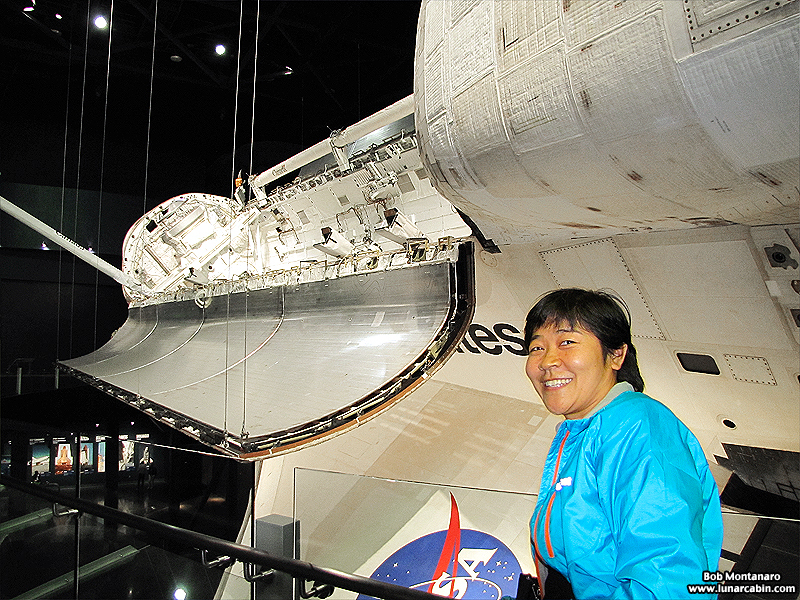 Takako below one of Atlantis’ Orbital Maneuvering System pods with a view looking forward into the cargo bay. 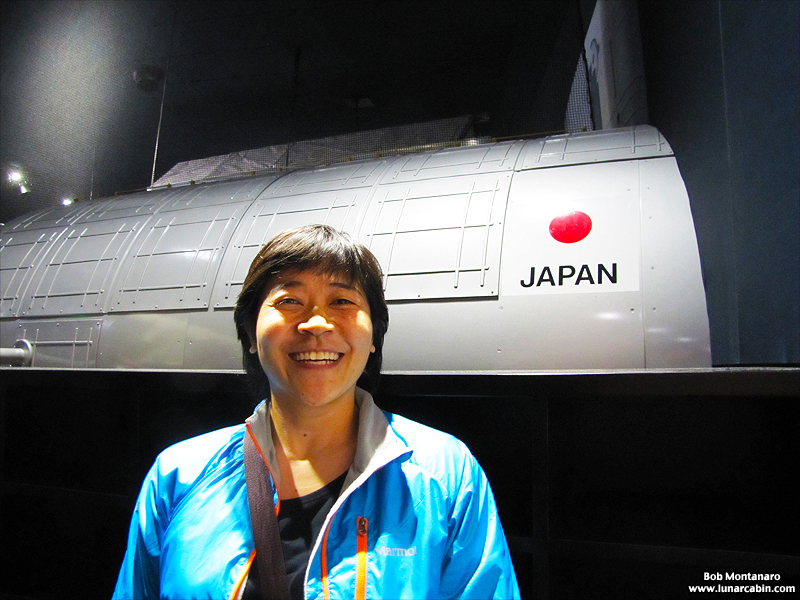 Takako poses in front of a mockup of the Japanese Kibo laboratory attached to the International Space Station.